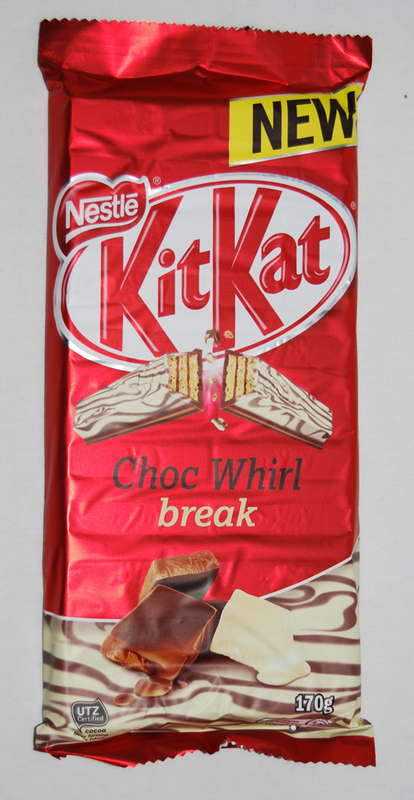 Choc Whirl is a new variety of Kit Kat, the world-famous chocolate block and bar from Nestle. Unlike its brother Choc Mint Whirl, Choc Whirl is only available in the large 170g block (whereas you can find Choc Mint in the block and medium and king size bars). They were released together a few months back. I also believe Choc Whirl is unique to Australia as well. It appears that the two varieties are actually very similar, with the only discernible difference being the lack of green colouring, and the mint flavour. Not that that is a bad thing - the swirls of white and milk choc are rather mesmerising to look at, and better looking that the green and milk combo. The bar itself is quite sweetly scented, and seems to have a little praline note, though it contains no hazelnuts. 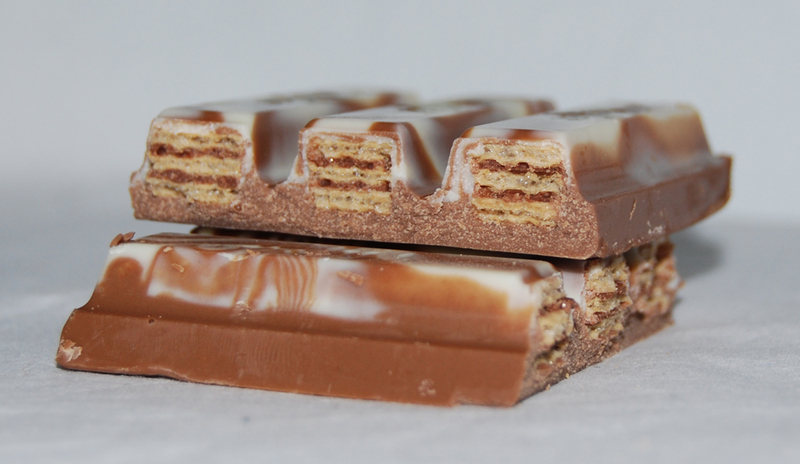 The design is classic Kit Kat, with thin layers of wafer separated by a cream, and then covered in milk chocolate, with the decorative 'white choc' swirls across the top. Like classic Kit Kat, it is, well, classic. Aside from the appearance, there isn't much to discern it from the original; I couldn't taste much of a difference. At least the Choc Mint Whirl had the flavour working in its favour; Choc Whirl is a bit uninspired. But hey, it still tastes good! 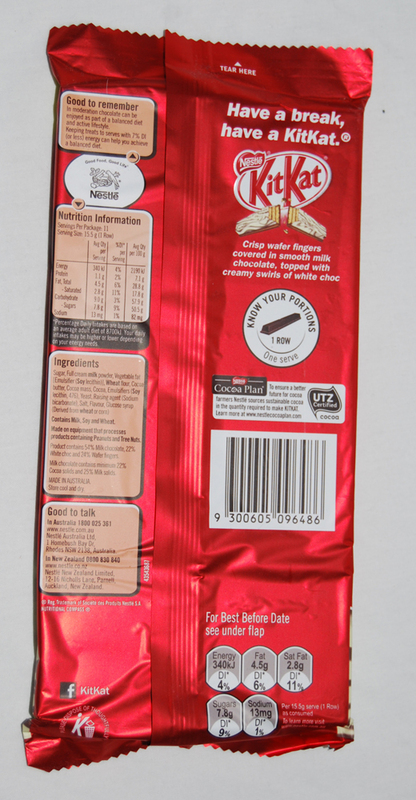 Nestle Kit Kat Choc Whirl is made in Australia. It contains milk, wheat and soy, and may contain traces of peanuts and tree nuts.